I'm currently working on my fourth mandala. I was so pleased with my third one that I am making another and writing the pattern to go with it. If you had told me before I started that I would begin to make them up as I went along I doubt I would have believed you! ...oh dear, a spanner has well and truly been thrown into the works to mess with my merry makes. There is a damp patch on the wall in the studio (due to the rain we've had) so I left the door open the other day to help it dry out...as you do..... It wasn't until the next day when we found large patches of wee that we realised we had a visitor. At first I thought it must be a cat and that it had sneaked back out when Lovely Husband opened the studio up and had gone off to fetch something. We were fooled. Oh dearie me.... I went back in yesterday and they was another puddle and we realised it hasn't been a naughty feline visitor but one of a rodent nature. It's now behind the plumbing pipes in the wall. We think it must be a rat of large size due to the big puddles it leaves behind. So dear readers my beautiful studio is currently a mess as we have boarded up access to shelves, piled stuff on the tables, brought loads of precious stash, drawings etc over to the cottage until Mr or Mrs rodent is there no more... I have tried leaving the door open for it to escape but methinks it likes it's new home. Ooh that has cheered me.... I shall let you know when the pattern is ready for road testing! I've not written a pattern before but people do say that I write very good travel directions....lol! Ah... I needed to laugh! 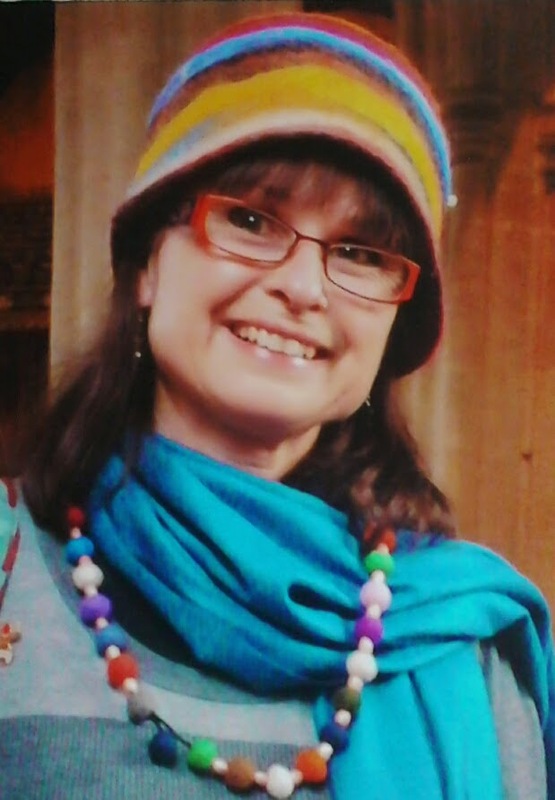 Hello Tracey, thanks so much for your lovely comments on my mandala post. 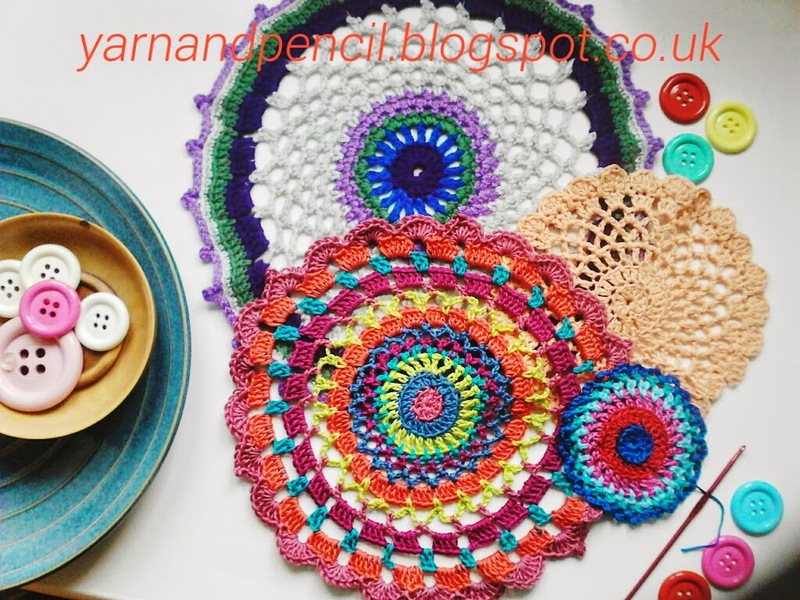 Your mandalas are fab... addictive aren't they!! I love the colours in the new one you are making, looking forward to seeing the finished article. Hi Amanda, you're very welcome :-) Oh yes they are very addictive, there is something very joyful about making and gazing at them; I'm so glad I chose to brave and join the Mand-a-long. Aww...thank you for your lovely comments. I haven't managed to do anymore mandala making because we are trying to sort the studio out now the rabbit has gone.